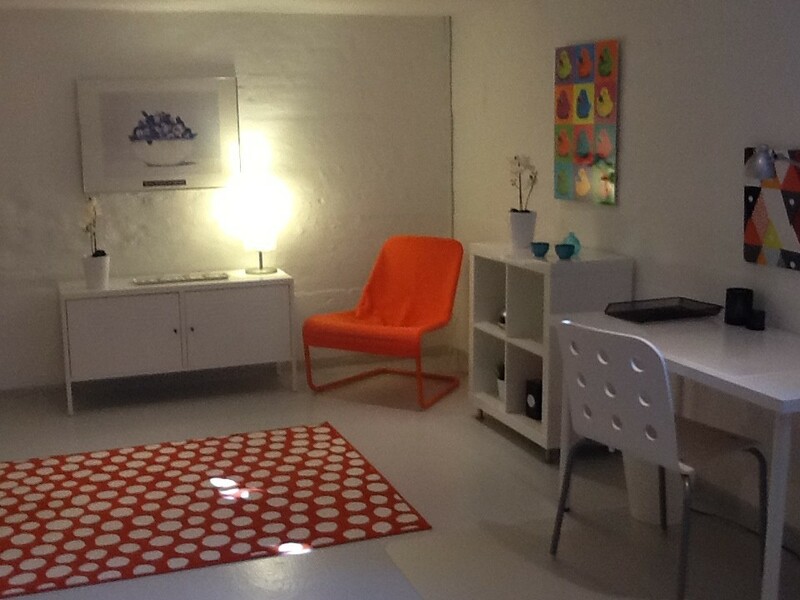 A nice, modern and spacious room available in Søborg, 5 min. walk from the Buddinge train station. 20 min. to central Copenhagen, 10 min. to Lyngby. 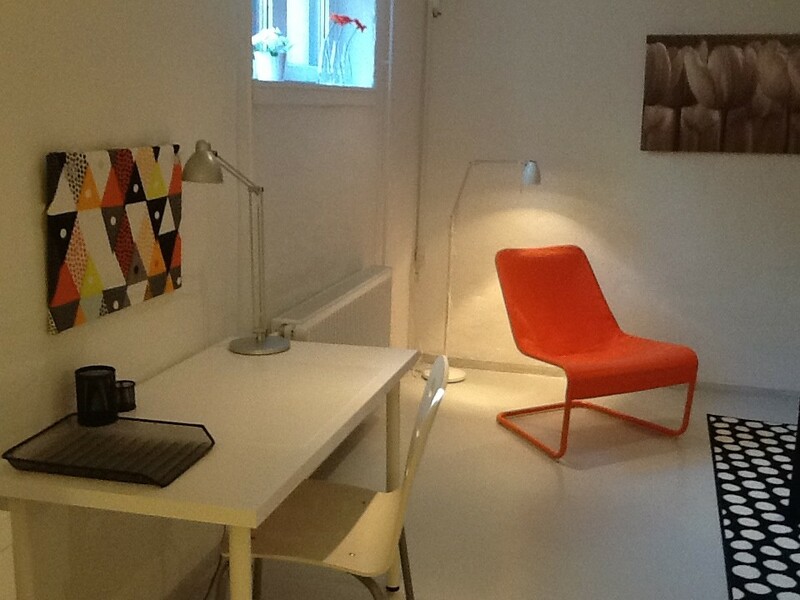 The room is large (26m2), furnished with double bed, desk, etc. in Nordic modern style, all brand new. 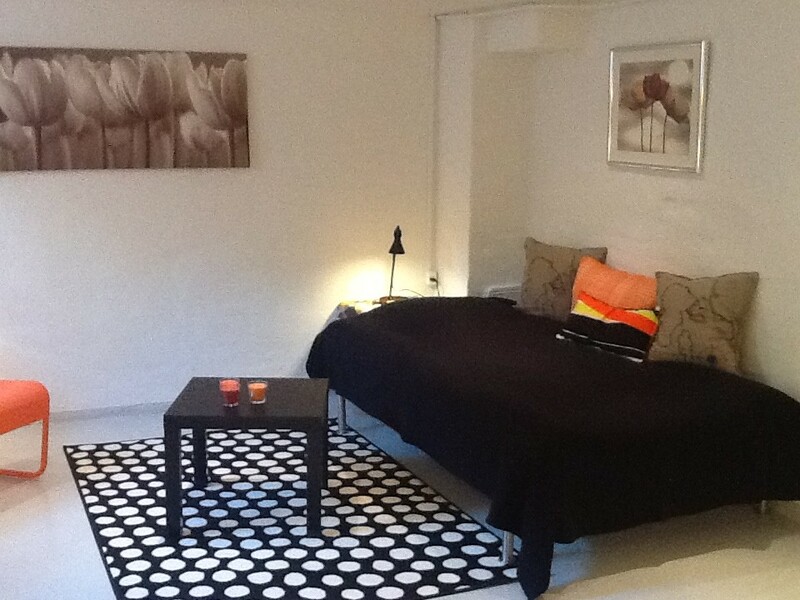 The room has bathroom, tea-kitchen with fridge, cooking plates/owen and separate entrance. Wifi, washing machine - all incl. DKK 4.200 per month (2 month deposit). Looking for a quiet, tidy person with respect for the house rules. The room is only for single use.